At MedStar Georgetown University Hospital in Washington DC, breastfeeding employees don't have to give up breastfeeding their babies to do their work. Private nursing mother spaces allow multiple moms to express milk at the same time. 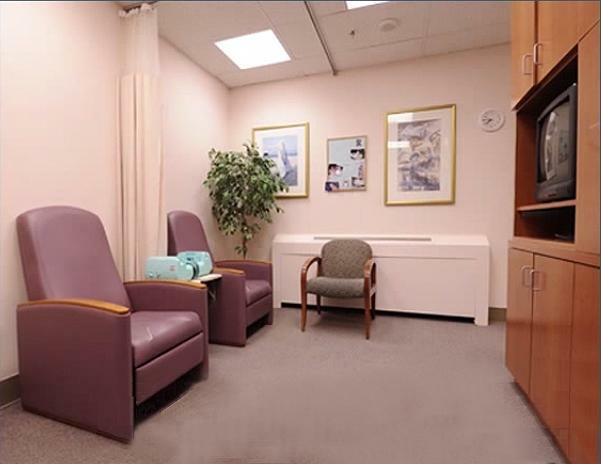 Amenities include hospital-grade breast pumps, several comfortable padded chairs, decorated walls for a more comfortable setting. The rooms are always clean, always tidy, and equipped with gowns, soap, and faucet to wash hands and breast pumping equipment. Books, TV, and other literature is also available. A team of lactation consultants are available for immediate support, and the employee lactation rooms are open 24 hours.